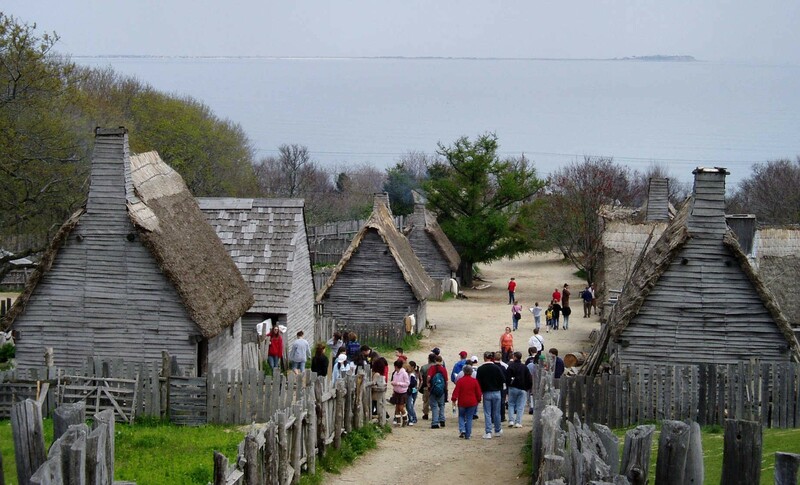 For more than 40 years, the NEH has helped Plimoth Plantation bring American history to life. Image courtesy of Muns (CC 2.0) via Wikimedia Commons. Plimoth Plantation provides experiential learning about the 17th-century Plymouth colony to visitors from across the nation and world. As a major tourism attraction, Plimoth Plantation is also economically significant to its region. Recognizing both its role in national civic life and the local economy, the NEH has provided major funding for the institution since 1979. From helping the museum build its visitor center, to providing support for educational programs, to ensuring that the plantation is accessible, the NEH has helped Plimoth Plantation become a resource for all who visit. Most importantly, the NEH has supported the major reinterpretations that were necessary to ensure that the past is being portrayed both accurately and engagingly. The Plimoth Plantation of today is the product of a major reinterpretation that the NEH funded during the 1980s. The funding enabled museum researchers to portray the 17th-century English village built on the shores of an unfamiliar continent with incredible detail and specificity. Now, visitors can explore the Mayflower II, visit the grist mill, encounter rare breeds of animals, and learn traditional crafts. And according to Richard Pickering, Plimoth’s Deputy Director, when guests encounter a historical character, “they aren’t encountering a generic person, but rather an individual with a specific theology, a specific understanding of the world based on education and regional background. The early colony’s population came from 17 different dialect regions in England.” They were not a homogenous group, and Plimoth strives to portray them with accuracy. With the help of NEH funding, the original Plymouth settlement has been located and is currently being excavated by scholars from the University of Massachusetts, Boston. This and other academic work has helped the curators at Plimoth Plantation come to a clearer understanding of the life in the settlement. In preparation for the 400th anniversary of the Mayflower landing, Plimoth Plantation is undertaking another reinterpretation that builds on its prior success—again with NEH support. Rather than portray Plymouth and the neighboring Wampanoag homesite as a single moment in time, Plimoth Plantation wants to offer visitors a richer understanding of the great change that occurred over the course of the seventeenth century—one that looks at the Plymouth colony and the neighboring indigenous villages in all of their complexity. Doing so will allow Plimoth Plantation to show off the period’s intellectual and cultural diversity, whether it is focusing on Elizabeth Warren, a widow who became one of the town’s largest landholders; the political exchanges between the Wampanoag, Narragansett, and Pilgrim peoples; or the settlers’ early experiments with constitutional government.